Get ready for the show of a lifetime! 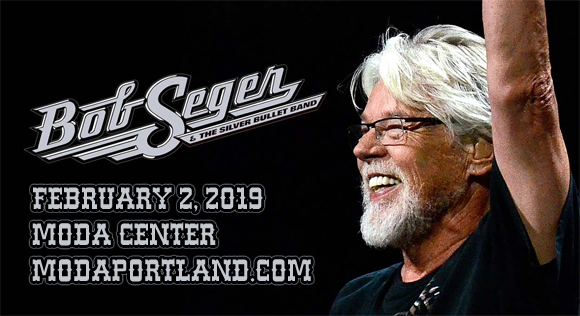 On Saturday 2nd February 2019, the incredible Bob Seger And The Silver Bullet Band will arrive at the Moda Center!! Get ready for a night of the very best entertainment that money can buy! This is the show we've all been waiting for… Don't miss your chance to be a part of an event that you will never forget! Grab your tickets NOW! With over 75 million records sold throughout his six decade career, legendary singer songwriter Bob Seger is an industry treasure and one of the best-selling artists in the world. The Detroit-based guitarist and pianist has been performing since the 1960s, when he found moderate success in the area under the names Bob Seger and the Last Heard and Bob Seger System. 1968 saw a breakthrough for Seger with the hit "Ramblin' Gamblin' Man". The success of "Ramblin' Gamblin' Man" went unmatched matched until 1973 when Seger, with his new group The Silver Bullet Band, released the album Night Moves, finding popularity across the nation. The album was eventually certified six-times platinum. "Turn the Page", "Still the Same", "We've Got Tonight", "Against the Wind", "You'll Accomp'ny Me", "Shame on the Moon", "Like a Rock", and "Shakedown" are other hits that brought success for Bob and his band over the years. In 2004, Seger was inducted into the Rock and Roll Hall of Fame, and he was inducted into the Songwriters Hall of Fame in 2012.